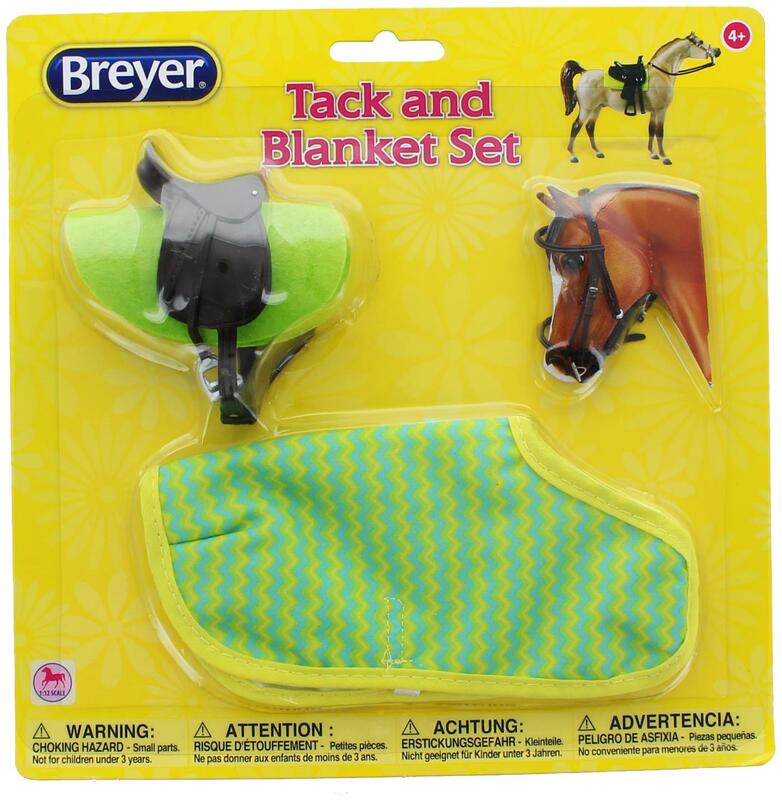 Saddle up with this colorful tack and blanket set from Breyer! Includes saddles, bridles, blankets and saddle pads for the well-attired Classics horse. 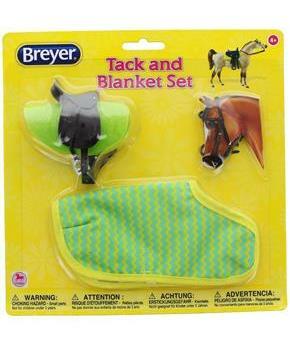 This set will fit Breyer 1:12 Classic Series horses. Horse not included.